I worked on a Sunday Times team to analyse the House of Lords’ expenses to identify which Lords are claiming the maximum in expenses despite only rarely speaking or voting. 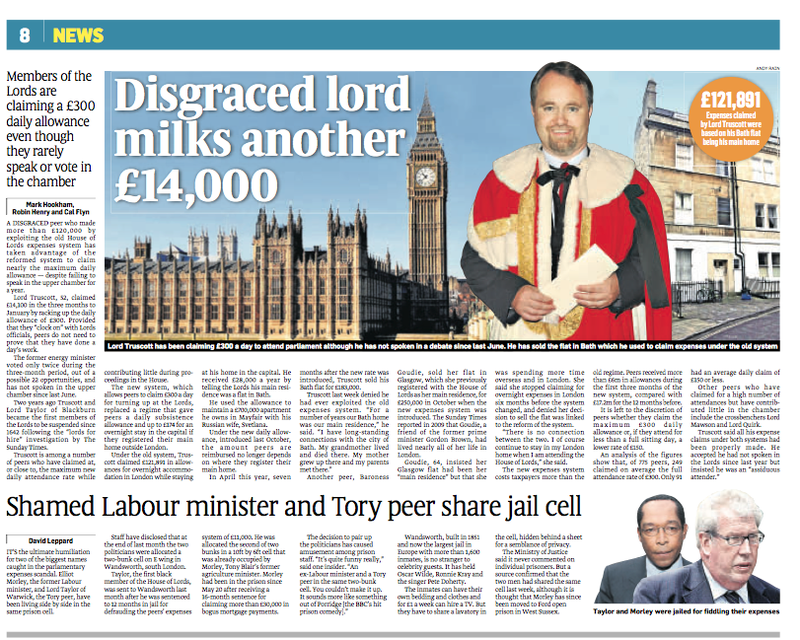 Lord Truscott, who voted only twice in three months but claimed £14,100, was previously named in the Sunday Times ‘Cash for Influence’ investigation after he was filmed asking for £72,000 in exchange for amending a bill. He was suspended for six months after he was found to have breached the Upper House’s code of conduct. 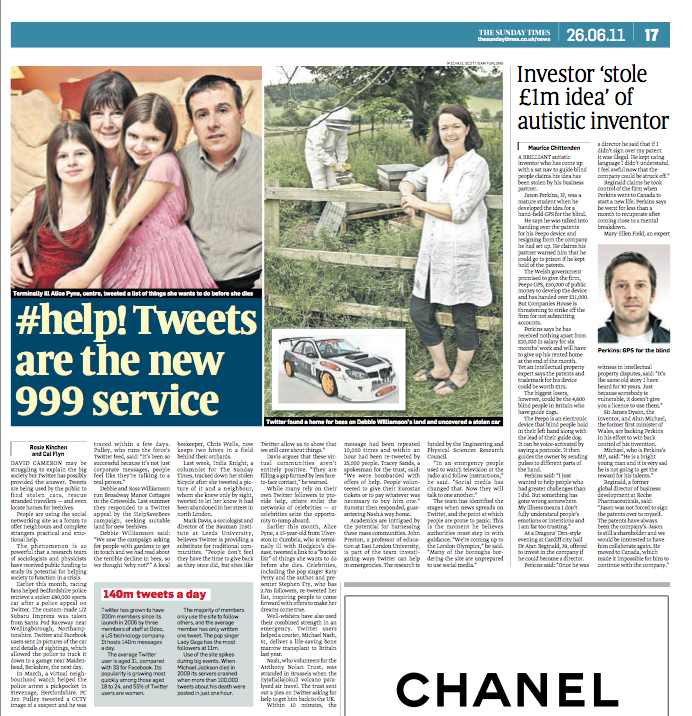 The full article is on the Sunday Times website here, and after the fold.